Printing has always been a craft. Solstice Press was started with that craft in mind and in this digital age, we aim to keep that craft alive. We strive to give you the most personal service for a completely customized printing experience. 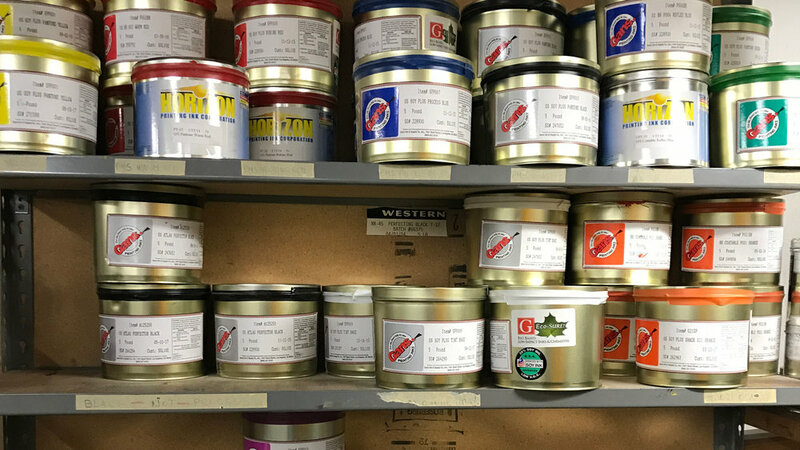 Our exacting standards are reflected in our finished work and our dedicated staff and experienced pressmen strive to provide you with a positive, informed and detail-oriented printing experience. From pre-press through bindery, we provide personal attention and expertise for every stage of your project. Family owned and operated since 1991, Solstice Press started with one single color offset press in the brick building on Filbert Street where we still operate today. Expanding over the years to offer not just offset lithography, but digital and letterpress printing as well, we provide the same high level of fine printing and personal service that have been the hallmarks of Solstice from the very beginning. As a local business, we love working with other local businesses, nonprofits, designers and the community to help produce the highest quality printed material possible. Moving into the second generation of family leadership at Solstice Press, we continue to honor the original craft of printing while using the newest technologies and techniques. We remain very excited about printing on paper.